When the clock strikes 5.... 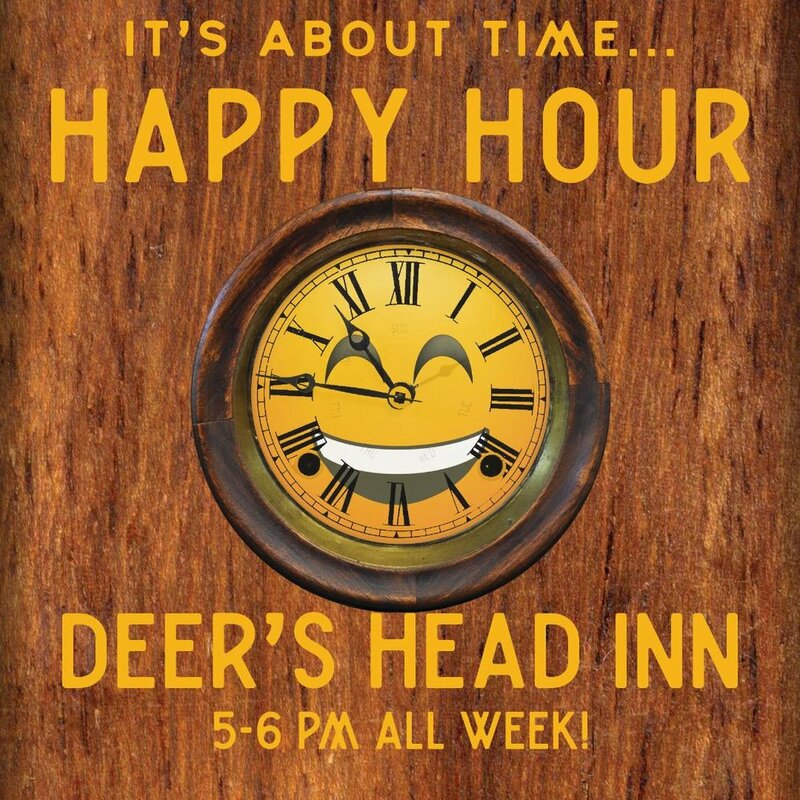 It means it's happy hour at the Deer's Head! We're offering 1/2 off all draft beer and wine EVERY DAY between 5 and 6 o'clock. Cheers! Farmer's Night is back! Farmers, growers, butchers, bakers, processors, brewers- take note! Tuesday nights you are welcome to come and enjoy 15% off all food items as a thank you for your service to our community. We thank you for all your hard work and efforts to offer local, delicious, sustainable food to us. We look forward to seeing you! Don’t miss Ausable Branch TOMORROW 4/18 @ 7pm, here at The Deer’s Head! Guitar duo Cliff Reynolds & Heath Richman specialize in folk & rock-n-roll. They cover a variety of crowd favorites like Jim Croce, The Beatles, & James Taylor, in addition to writing & performing their own originals. Hear more of their music here: https://www.facebook.com/AusableBranch/ Support local music! Tunes start at 7pm—call 518-873-6514 for a reservation. Spring Training is here! 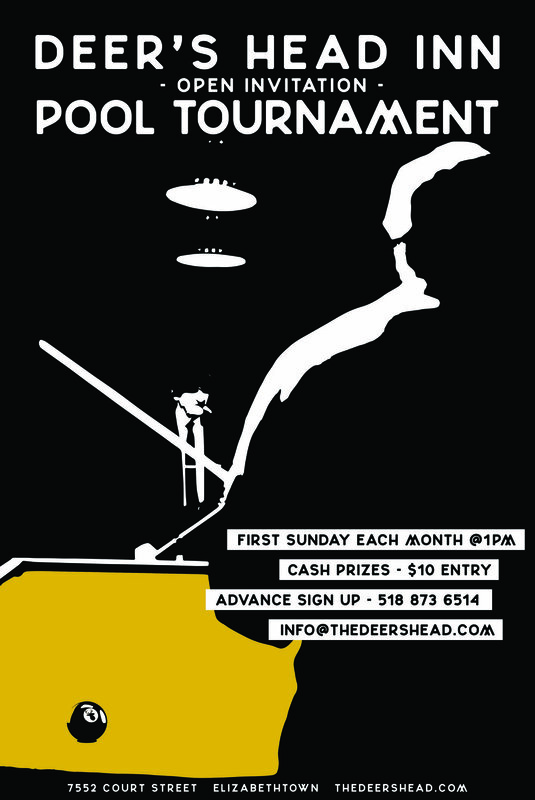 Kick off your race season with The Third Annual Deer’s Head Mile. Our scenic USATF certified course will start in front of the school and hit a number of E’town landmarks before finishing right in front of The Deer’s Head! Age Group prizes will include gift certificates to the best place to eat in E’town. Last year we had 75 runners; help us break 100 this year! Race supports the Elizabethtown Food Shelf—please bring a non-perishable food item to donate. We love when our farmer friends come to play music for us! We're excited to welcome Kim LeClaire and Lucas Haight of Quarry Gardens back to the Deer's Head stage on Thursday 3/21 for another chill evening of folk song originals and heartfelt covers. Dinner starts at 5pm, music begins at 7pm! Call for reservations. 3/17— Don't start celebrating yet! Wait until this weekend for a rare open Sunday at The Deer's Head just for St. Patty's Day! Come out for Irish specialties like corned beef & cabbage, colcannon, plenty of Guinness and rare Irish whiskeys! 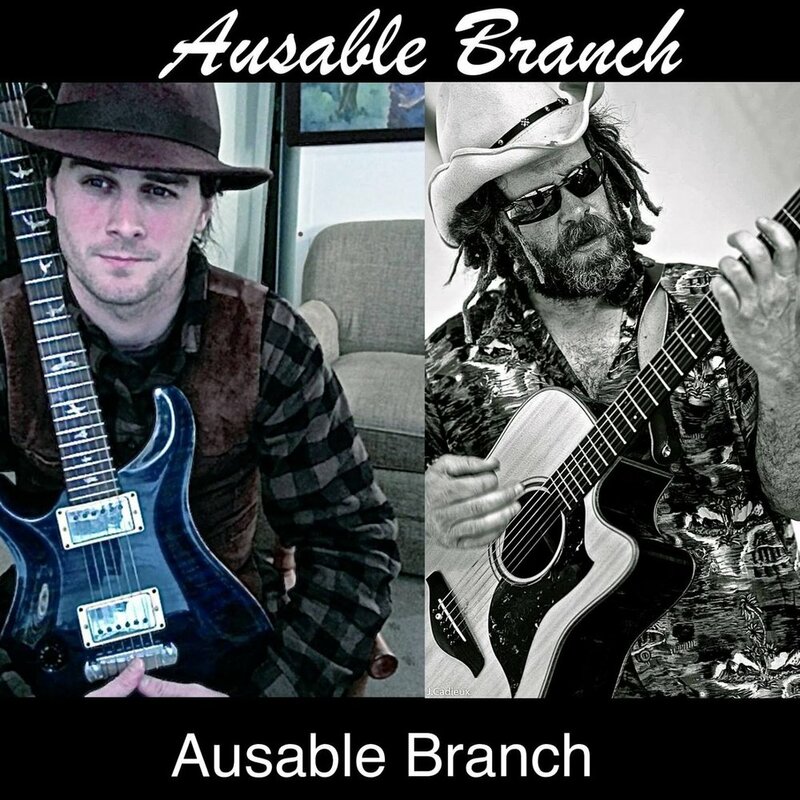 *PLUS* local band Ausable Branch will be playing some tunes for us, starting at 7pm. Dinner begins at 5pm— call for reservations! Local jazz pianist Buddy Nierenberg takes to the Deer's Head stage this Friday 3/8 @ 7pm. Buddy plays a mix of tried & true favorites and new originals. Come out for a drink, a snack and some great live music! Plus Italian wine & cocktail specials... see you HERE! Dinner starts at 5pm. Shimmy on over to the Deer’s Head this Friday— DJ Sam returns 3/1 to help us shake off cabin fever with his enormous and curated record collection! Spinning starts at 7pm. Spice things up this Wednesday 2/27 with MEXICAN NIGHT! South of the border features and lots of margarita specials will make you forget it’s still winter… regular menu available too! Ausable Brewing Company is taking over our taps ALL NIGHT this Friday 2/22, starting at 5pm. Five great ABC brews on tap, plus awesome live, local music from Andy Cohen, Bill Ellis and Steve Feinbloom at 7pm. Ausable Brewing Co. is a true farm brewery, offering seasonal and limited edition beers and sodas expertly crafted with locally sourced ingredients, many of which are grown on site. Their tasting room is open May-December, so it's always a treat to snag one of their beers during the off season. Japanese Night for this week’s Wednesday Wonders! Crispy bamboo shoots with sweet mustard sauce, sweet-n-sour tempura cauliflower with steamed rice & scallions, and teryaki marinated beef with spicy peanut noodles & toasted sesame seeds—YUM. 2/20, starting at 5pm. BUDDY NIERENBERG TICKLES THE KEYS THIS FRIDAY 2/15 @ 7PM! SOFT ROCK CLASSICS + ORIGINALS. 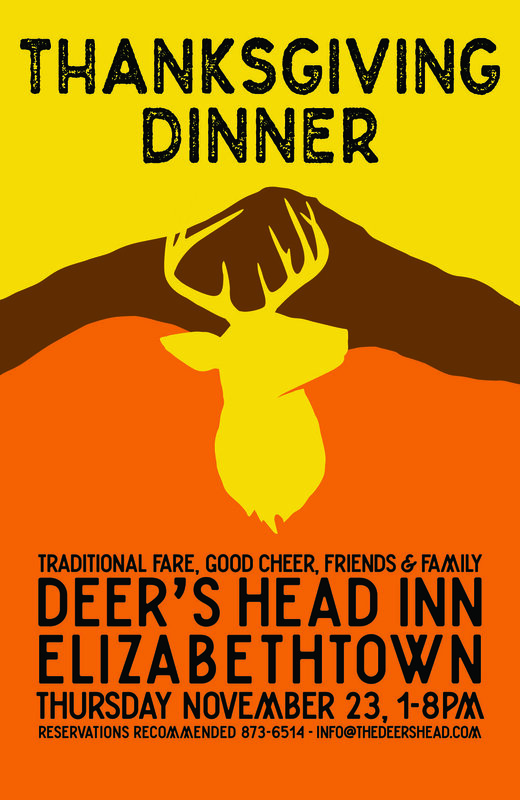 Bring your dear on in to The Deer's Head Inn for a very special Valentine's Day Dinner Thursday, February 14! Romantic drinks and entree specials including Lobster Ravioli (with artichoke hearts of course), Rack of Lamb, and Ricotta Gnocchi will complete your perfect date night. Make your reservations today and join us for a heartwarming meal! We're excited to welcome guitar duo Ausable Branch to the Deer's Head stage for the first time on Feb. 7th! Cliff Reynolds & Heath Richman specialize in folk & rock-n-roll. They cover a variety of crowd faves like Jim Croce, The Beatles, & James Taylor, and write & perform originals as well. Grab a cocktail & warm up with some local fare and local music! At last, DJ Sam is back spinning records that broke records! Join us for Singles night (or date night), grab a cocktail, and listen to American Soul and R&B. It all happens on Friday, February 1st. Music starts at 7! You may recognize these two as the denim-clad gentlemen of the Adirondack folk trio PARTRIDGE IN THE PINES! Ben Parker & Tyler Dezago's music brought them together almost five years ago during their college days at Paul Smith’s. For the past 3 years they have played and traveled together, sharing their music with audiences from Maine to Virginia. Expect country music twang, American folk, sunset melodies and ORIGINALS! Tunes start at 7 on Saturday Jan. 26th. Reservations recommended. Join us for an evening of music with Giovanina Bucci on Thursday 1/10 @ 7pm. Reservations encouraged! Bucci is a singer-songwriter based out of Burlington, VT. She is a member of the Blues/Soul/R&B group, Nina's Brew, as a vocalist and rhythm guitar player. Born and raised in Plattsburgh, NY, Giovanina has spent the latter half of her life attempting to appease a relentless appetite for travel and exploration. Having soaked up a diverse catalog of influences, culture, and conversations along the way--her style is nothing short of eclectic. Rooted in blues, soul, reggae, and hip hop, she writes about the intimate experiences that have shaped her as a human and as a songstress. A live performance quickly indicates how deeply Giovanina feels the songs, where and whom they were inspired by, and the stories behind them. She has released two solo albums, The Road Home in 2013 and A Bit of Alright in 2015. Nina's Brew released their first EP, Don't Tell Mama, in 2018 and are touring heavily throughout the northeast. A musical evening with local folk singer Alex Smith. 12/27, music starts at 7pm. Reservations encouraged! Alex Smith grew up in Long Lake, and his music strives first and fore most to echo the people and culture of that area. He builds songs from a blend of traditional folk harmony and strikingly modern lyrics, confronting today's most pressing issues with a style of honest and accurate observation often compared to songwriters Stan Rogers and Jason Isbell. "Alex is a natural storyteller with a rich voice who is creating poignant songs rooted in the heritage of his Adirondack home." Join us for a night of community caroling with friends and neighbors. Bring songs to share & holiday cheer! 12/21 @ 7pm. Come out this Thursday 12/20 for some soft rock classics with our friend Buddy! Music starts at 7pm. FRI 12/14- Michael's back! Best known for his role as lead guitarist in regional jam band Annie in the Water, Michael's solo performances are truly unique experiences. Michael blends blues roots, reggae, hip hop rhythms, melodic vocals and classical expression creating an ever-evolving style of music. Each show is totally different and creatively caters to the room, the people, and the moment. THURS 12/20- Come take a break from holiday shopping with dinner and a show! Buddy Nierenberg's back (with keyboard in tow!) to perform all your favorite soft rock classics. Music starts at 7pm. See you here. Got a case of the (almost) winter blues? Join us for Jamaican night! Expect lots of tropical tunes courtesy of DJ Sam, and Caribbean-inspired dishes from the kitchen. This Thursday (11/29) from 7-9pm! SAVE THE DATE! We’re already planning our NYE celebration & we can’t wait! 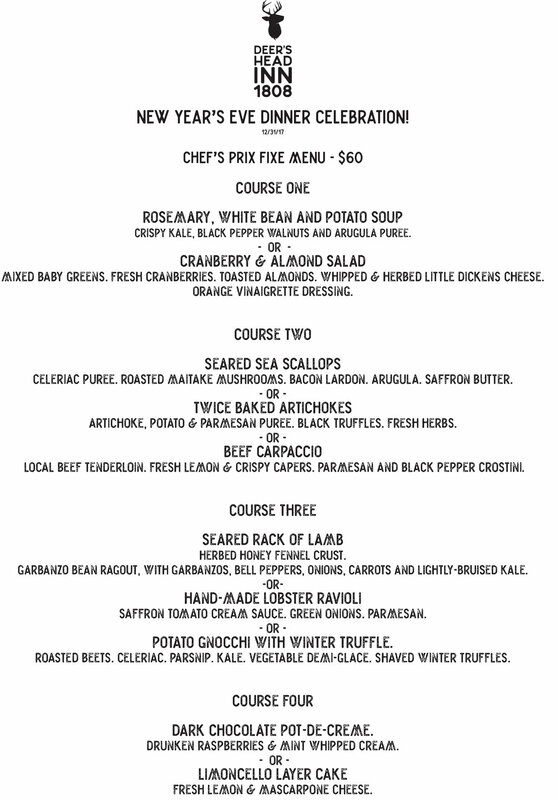 Join us for luscious dinner features and (of course) a champagne toast! As the holidays approach and the weather turns colder, we have been feeling very thankful for the many things keeping us warm, especially all of you and our amazing E’town community. We hope you'll join us for our annual Thanksgiving dinner where we will gather and celebrate together! Stay tuned for our menu featuring traditional fare and Fall inspired cocktails and make your reservations today! We know there are a thousand excuses to stay in... but come out! Eat, drink, enjoy some guilty pleasure jams, be with your community! Buddy starts at 7pm on 11/15. We’re so excited to host The Howl Story Slam again this year! The theme is “Leap of Faith”— start compiling your tales and get ready to share on Thursday 11/8! Get through hump day with some backwoods string music, courtesy of Partridge in the Pines! Their sound blends traditional americana with contemporary folk tunes, topped off with honey-sweet harmonies. Grab dinner and kick back with some live, local music. Reservations encouraged. Wednesday 11/7 @ 7pm. Join us for an evening of music with Giovanina Bucci on Thursday 11/1 @ 7pm. Reservations encouraged! Craving a record night without jumping up to change the record? Can’t decide what to put on? Join us this Thursday and let our favorite DJ Sam curate your evening with his eclectic and extensive collection! Come warm up with a Fall cocktail and stay for the music. He’ll start spinning at 7pm. See you here! It's our annual Oktoberfest celebration! Saturday 10/20 from 12-5, come out for brats, beer, and.... more beer. We'll have imported Bavarian pilsner flowing on tap + Oktoberfest bottle specials. The kitchen will be cranking out hearty German fare (vegetarian friendly!) 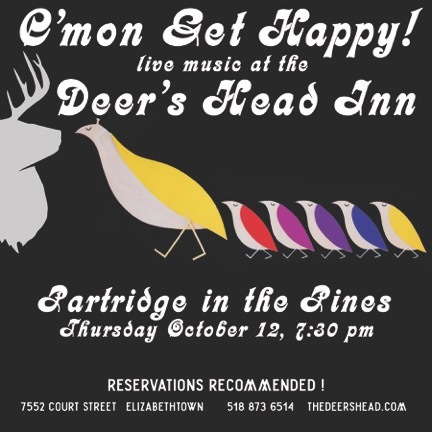 PLUS to cap it off, Partridge in the Pines will be joining us after the party for some ADK folk at 7:30pm. Cheers! It's always a treat to have Michael Lashomb with us here at The Deer's Head- his music style blends blues roots, hip hop rhythms, reggae and classical expression, and he caters each show to the audience and the mood of the room. Join us for some Thursday night tunes and local eats on 10/4! Music starts at 7pm. Reservations recommended. Things are about to get funky! Thursday 9/27 is Southern Soul Nite with DJ Sam! He’ll be spinning deep soul, swamp pop and New Orleans r&b records for us, and the kitchen will be cranking out Southern eats. Music starts at 7pm. Buddy Nierenberg this Thursday 9/20 at 7pm! Join us for an evening of local music and local food! THURS. 9/13- Michael's back! This guy brings an awesome energy with him, and we love hosting him here at The Deer's Head. Best known for his role as lead guitarist in regional jam band Annie in the Water, Michael's solo performances are truly unique experiences. Michael blends blues roots, reggae, hip hop rhythms, melodic vocals and classical expression creating an ever-evolving style of music. Each show is totally different and creatively caters to the room, the people, and the moment. New Sunday Pub Hours! We are now OPEN 5-9pm on Sunday evenings with a full bar and limited pub menu. We've got pool, darts, plenty of beer, hot wings... what are you waiting for?! Music Sundays are going on intermission, folks! Come out on 9/2 for our LAST Sunday open and spend your Labor Day weekend relaxing with us! Tim Hartnett and Julie Canepa have been performing throughout the North Country and Vermont as an acoustic duet since 2009. Hartnett is an established member of the North Country music scene, and his musical abilities and experience along with Canepa’s theatre background form the basis for the singing/songwriting team. Their varied repertoire includes music from roots (Johnny Cash, Hank Williams, Bob Dylan), classic pop (Beatles, Linda Ronstadt, Bonnie Raitt) and indie/alternative (White Stripes, Eddie Vedder, Amy Winehouse). They also perform original songs that explore the important issues of our times, including but not limited to love, dogs and layoffs. Vocal harmonies are a distinctive part of their sound and are backed by Tim’s guitar playing and Julie’s percussion and occasional kazoo! In 2012 Julie and Tim added an electric bassist and drummer and have played extensively under the band name Oh!Betty. Though most of their engagements these days are with the full band, Julie and Tim continue to play several dates a year as a duet. We love when our farmer friends come to play music for us! We're excited to welcome Kim LeClair and Lucas Haight of Quarry Gardens to the Deer's Head stage on Sunday 8/26 for an evening of folk song originals and heartfelt covers. Limited pub menu and full bar available. Music is from 6-8pm. Get your weekend rolling on our brand new bocce ball court! Join us for games, extended happy hour and stay for the music. Michael Lashomb goes on at 7! It's cover song time! Fulton's Folly joins us on Sunday 8/12 with all your favorite guilty pleasure songs. Music is from 6-8pm. Please note we have a limited pub menu on Sunday nights. Gray Blues returns this Sunday 8/5! Come jam out, grab a beer and relax! Please note we have a limited pub menu on Sundays. Catch an early evening serenade with The District Chords on 7/28! 30s close harmony, doo-wop, and contemporary a capella. 5:30pm. Join us in welcoming Whetherman this Sunday at 6pm! Enter Whetherman, the music of 33 year-old independent troubadour Nicholas Williams, who has self-produced eight full-length albums since beginning the project in 2007. By artfully bridging the gap between folk, blues, country, soul, and bluegrass with a timeless tinge, Williams is earning his keep amongst the vast pool of independent American talent in the Americana scene. His songs aim at the heart center, emboldened by the moral struggles of modern man with earnest and poetic lyrics that accompany infectiously melodic vocals, under the current of percussive guitar and rolling harmonica. These factors all contribute towards an effervescent, rustic sound that is all his own. 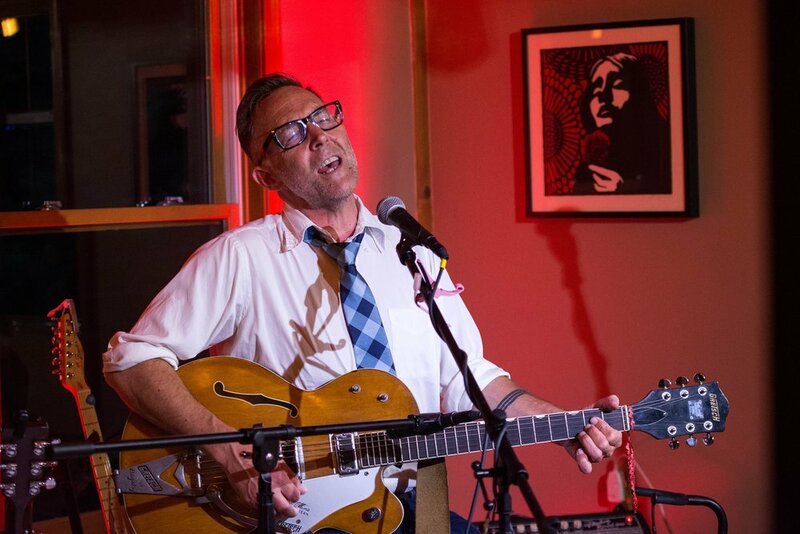 Whetherman has been performing 150 shows a year in over 40 states across the US since 2011, as well as touring throughout the UK and Western Europe. Living on the road for the better part of the last five years, his surroundings have secured songs of poetry, with a resonance of nature, and Williams has remained completely independent from labels and management, having taken a grassroots approach to spread the songs he's created. You can find Whetherman on iTunes and Bandcamp, as well as streaming on Pandora Radio and Spotify. Join us Sunday 7/22 at 6pm in welcoming Brett Hughes to the Deer's Head stage! He recently played at the Ballard Park free concert series in Westport, and now he's back in the ADK with some more great tunes. Brett Hughes has been a long-time mainstay (and champion!) of Burlington, Vermont’s dynamic music scene as a songwriter, singer, guitar player, band leader and engineer/producer. He hosted the beloved Honky Tonk Tuesday residency at Burlington’s Radio Bean for over ten years, and took the show on the road to Bonnaroo with Mike Gordon (Phish) as Ramble Dove. Along the way he won a regional Emmy Award for composition, fronted or has been part of several seminal Vermont-based bands, and recorded and played on projects with Eugene Hutz (Gogol Bordello), The Barr Brothers’ project Surprise Me Mr. Davis, NOLA’s Duke Aeroplane & The Wrong Numbers and many local artists. He spent much of 2017 touring with Nashville-based Shannon McNally, who has made her records with Charlie Sexton (Bob Dylan’s band leader), Dr. John, the late Jim Dickinson (Rolling Stones, North Mississippi All-Stars) and legendary songwriter Rodney Crowell. Brett's debut album, Maybe I Will, was recorded at Nashville’s Alex The Great Studio with producer Brad Jones and is due for release this fall. Please note we have a limited pub menu on Sunday nights. Grab your cowboy boots- it's honky tonk night at The Deer's Head! DJ Sam is BACK Friday 7/20 with his eclectic and twangy record collection. Spinning starts at 8pm**. Summer menu is here! The summer season is short but oh-so-sweet in the ADK and we can't wait to showcase our local farms' bounty. Grab your cowboy boots- it's honky tonk night at The Deer's Head! DJ Sam is BACK Friday 7/20 with his eclectic and twangy record collection. Spinning starts at 8pm. The weather has cooled down but Long Lake musician Alex Smith will be heating up the Deer’s Head stage this Thursday 7/12! Alex Smith's music strives first and foremost to echo the people and culture of this area. He builds songs from a blend of traditional folk harmony and strikingly modern lyrics, confronting today's most pressing issues with a style of honest and accurate observation often compared to songwriters Stan Rogers and Jason Isbell. His stories draw on the triumphs and hardships of friends, relatives, and neighbors near and far. Smith is truly a “working musician,” playing nearly 200 a shows a year. You don’t want to miss this one! Music starts at 7pm. Reservations are encouraged. If you haven't heard Buddy play yet, you need to come check him out this Sunday 7/15! He's a hoot and a half full of stories, great tunes, and good cheer. Expect songs you know & love, and songs you've never heard before. Limited pub menu and full bar available. Music is 6-8. Show those stars and stripes and come celebrate the Fourth of July with us! We'll be cookin' up local fried chicken and spare ribs, AND we're extending our happy hour to keep the fun going! Call us for reservations. Charlie Janeway is a young guitarist living in Keene who plays acoustic, country blues music inspired by Mississippi John Hurt, Bob Dylan, and others. After narrowly escaping a run in with the devil at the crossroads of the Marcy and Haystack trails, he booked it to the west coast, where he honed his sound in college basements and uninterested frats for four years. Now he’s back in the ‘daks and ready to share a mix of fingerpicking folk and originals at the Deer’s Head Inn on June 24th. Record Night is Friday 6/22! Come hang and enjoy the sweet sounds of vinyl provided by our favorite DJs, Sam & Emma! They have an insane record collection and it's always a blast when they come share it with us. Dinner starts at 5pm, spinning starts at 7pm. Call for reservations. June 17th! Buddy Nierenberg is one of a kind- he hooks you in with his storytelling and good cheer. Come down for classic rock from the 60s, 70s, 80s, plus jazz keyboard. Expect songs you know and love, and songs you've never heard before. We open at 5pm, and the music kicks off at 6pm. Nothing says "Happy Father's Day" like sriracha wings and live music, right? 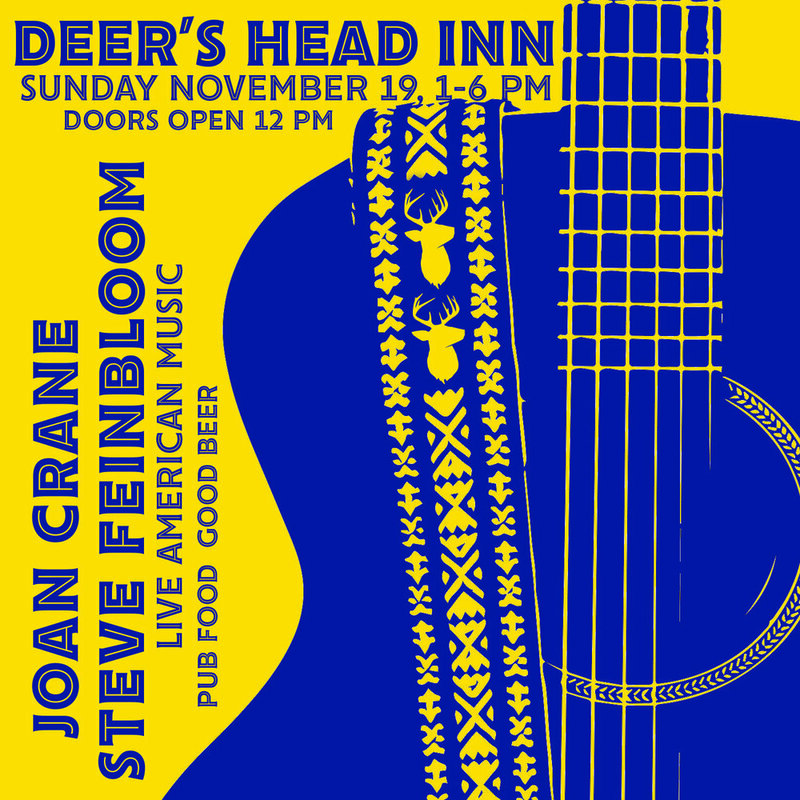 The lovely Joan Crane will be joining us this Sunday on acoustic guitar as our Sunday music series continues! Joan's songs are laid back, upbeat and witty. We're looking forward to having her join us again! Come by for yummy local pub fare and great music. We open at 5, the music begins at 6. On 6/1, we're kicking off June right with local band Partridge in the Pines. The ADK trio plays both originals and covers that will tug at your heartstrings and get your feet tapping. Come for dinner, drinks, and the sweetest North Country folk around. Music starts at 7pm. Hooray for local music! We welcome Gray Blues on 6/3 as the Deer's Head Sunday Music series continues. The trio performs classic blues and jazz standards with vocals, guitar, mandolin, and harmonica. Pub menu and full bar are available, and the songs start at 6pm! Best known for his role as lead guitarist in regional jam band Annie in the Water, Michael's solo performances are truly unique experiences. Michael blends blues roots, reggae, hip hop rhythms, melodic vocals and classical expression creating an ever-evolving style of music. Each show is totally different and creatively caters to the room, the people, and the moment. Michael has performed 800+ shows all over North America and we had a blast the last time he came out to The Deer's Head. Join us Sunday May 27th for some special tunes. Dinner is served 5-9pm, music begins at 6pm. Reservations encouraged. This Sunday 5/20! Relax with some local music and good food. Keyboardist Buddy Nierenberg joins us at 6pm with classic rock from the 60s, 70s, and 80s and jazz keyboard. See you here! Show Mom some love! Bring her to brunch at The Deer's Head on 5/13 from 11-5pm. $20 for adults, $10 for kids. Call for reservations! It's vinyl time! On Friday 5/18, DJ's Sam & Emma have an awesome assortment of records and they're coming to share it with us. Expect classics, oldies, and sundry of tunes that you've never even heard before... turntables start at 7! We've missed you! We're back on 4/19 with a brand new menu, drinks that will make you feel like it's springtime, new drafts (and old favorites... hint, hint, Green Flash...) Can't wait to see you all! We're not really sure whether we trust this warm weather yet- but come celebrate spring with us anyways! We've got new spring cocktails, new beers on tap (Ledge Hill Porter!) and old standbys (Green Flash! ), plus a bright and fresh spring dinner menu. AND this Friday Fulton's Folly will be playing all your favorite classic soft rock covers. Music is 7-9pm. Call for reservations! Shake the dust off with The Deer's Head Mile Run, Saturday 4/21! Like spring cleaning for your bod... race starts at 10AM! Hop on over to the Deer's Head for Easter Brunch! We'll have a glorious spread of brunch-y goodness, so bring everybunny you know and enjoy house smoked salmon, buttermilk pancakes, scrambled eggs, farm cheeses & charcuterie, fresh fruit, rosemary roast beef, lemon & herb roast chicken, mimosas, and more. Brunch is served 11am-4pm. Call for reservations. 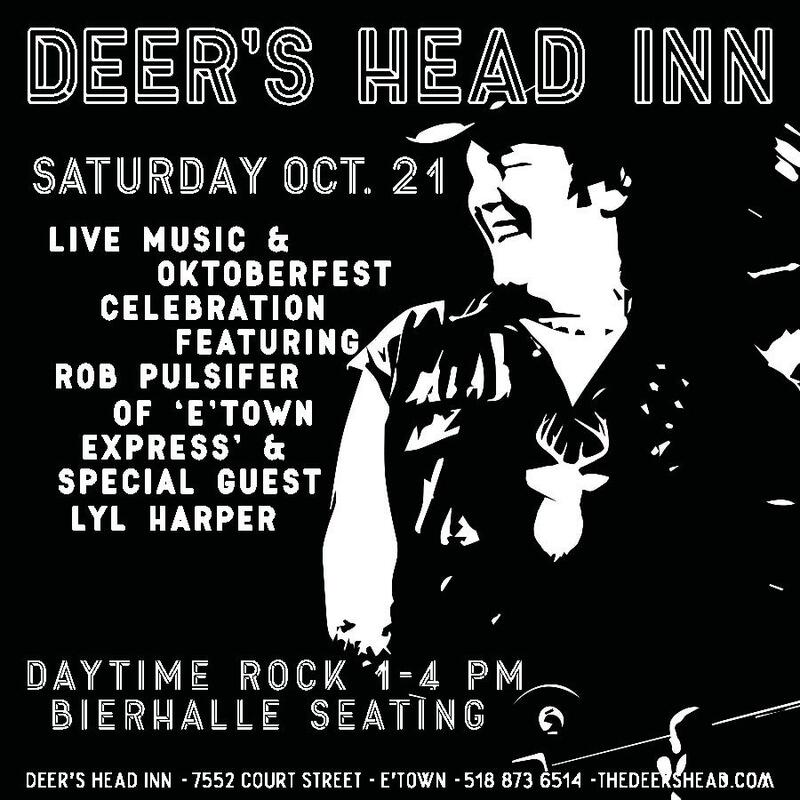 Lots coming up at The Deer’s Head! 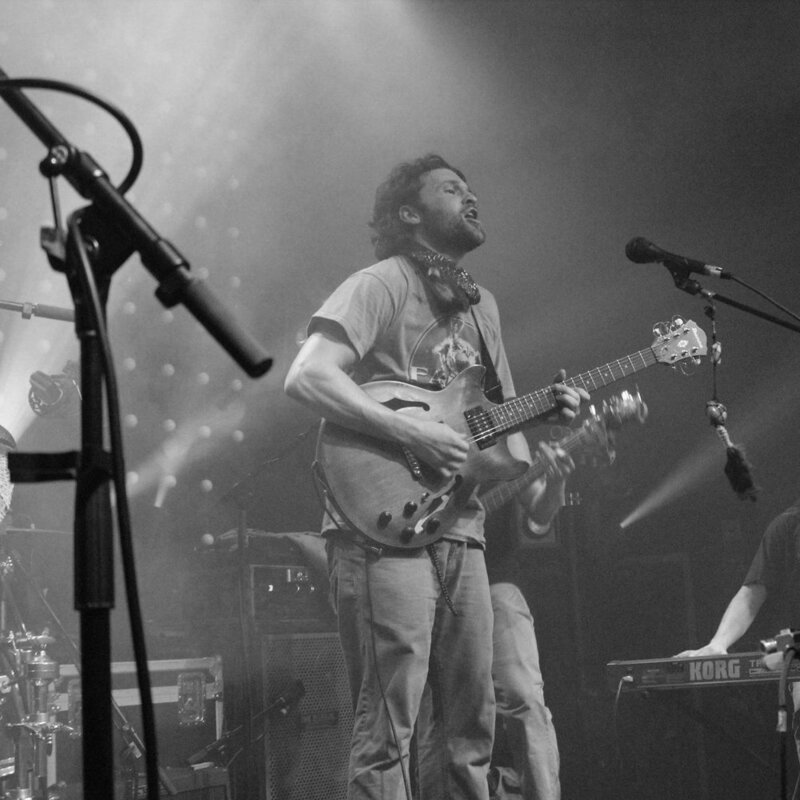 On Friday 3/23 we have the pleasure of welcoming Michael Lashomb of regional jam band Annie in the Water to The Deer’s Head stage! His fusion of blues roots, hip hop rhythms, melodic vocals and reggae create an ever-evolving style of music that is truly unique. Michael has performed over 800 shows across the country and we’re super lucky to have him playing here at The Deer’s Head. Dinner is served 5-9pm, music starts at 7pm. Reservations recommended. 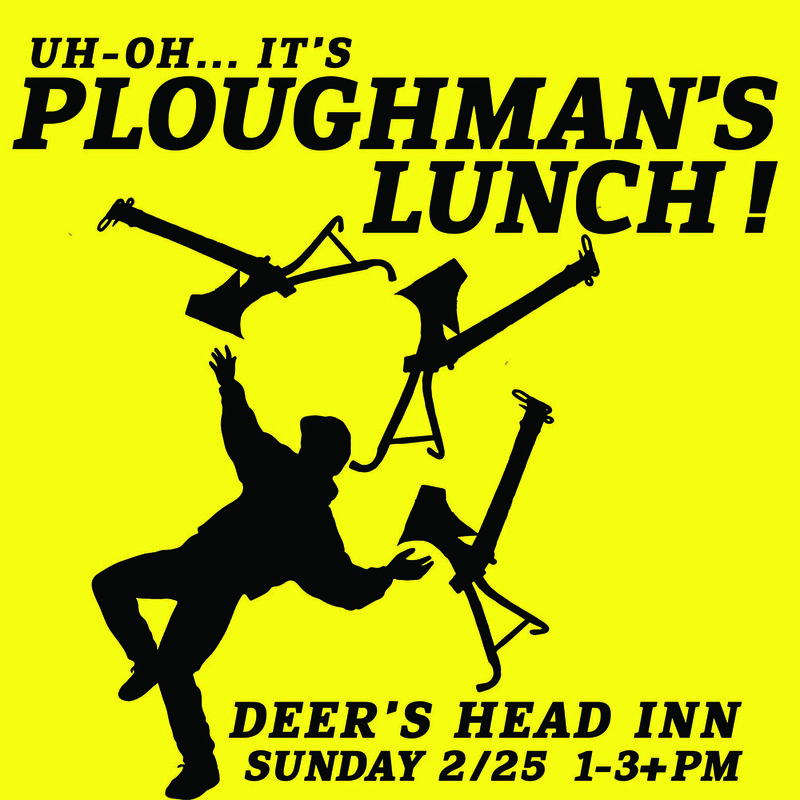 The music continues this Sunday 3/25 with North Country band Ploughman’s Lunch! We open at noon for lunch, and the music begins at 1pm. 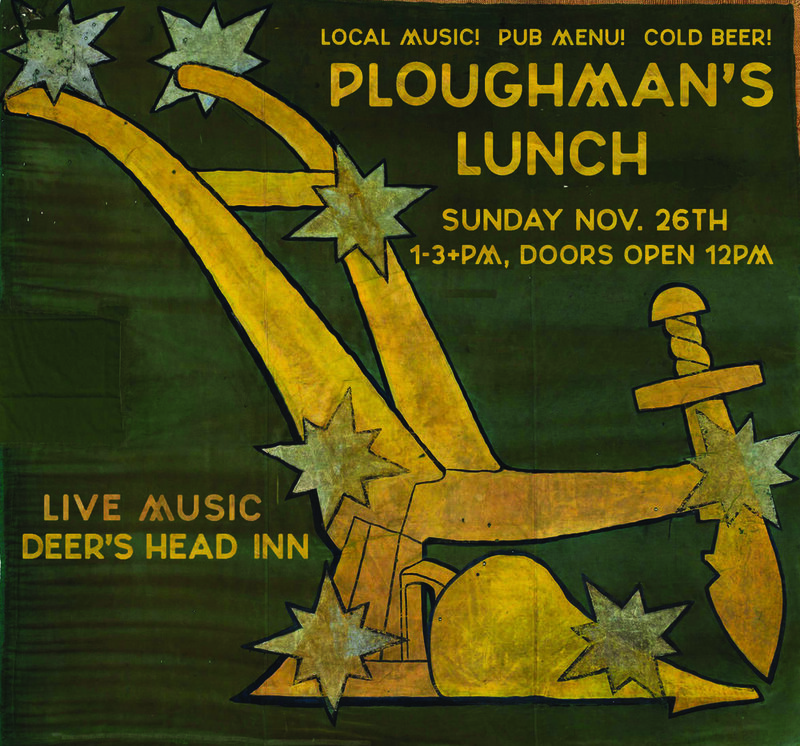 Get out of the house and enjoy some pub food and local music. Next week, for our final Wednesday Wonders of the World, we journey back to France for French Night! Moules Mariniers, Coq au Vin, Steak Diane… Oh Mon Dieu! Don’t miss it. 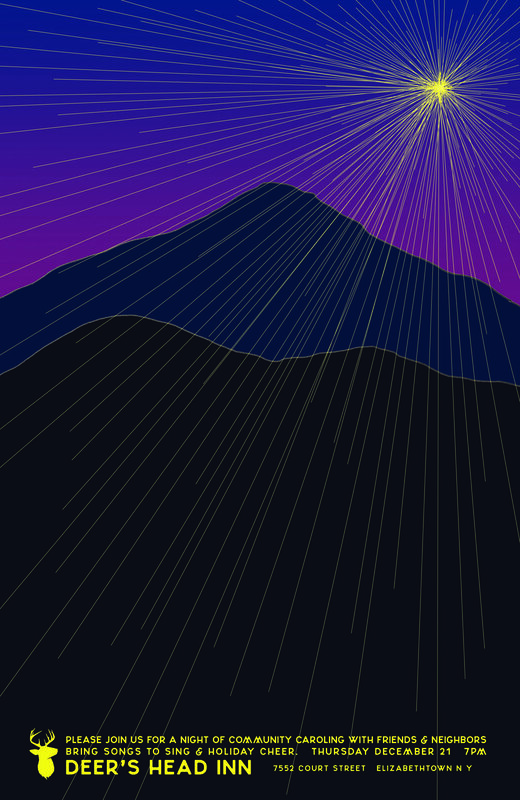 And finally, our favorite DJ’s Sam & Emma return with their stellar record collection, Friday 3/30. Spinning begins at 7pm. We hope we’ll see you soon! Wednesday Wonders of the World is back! Every Wednesday this winter we will be showcasing a different region of the world with unique menus and drink specials! In the past we've hosted Asian Noodle Night, Mexican Night, German Night, Jamaican Night and more. Stay tuned for each week's menu and spice things up! Michael Lashomb is best known for his lead role as lead guitarist in regional jam band Annie in the Water, but his solo performance is a truly unique experience. Michael blends blues roots, reggae, hip hop rhythms, melodic vocals and classical expression creating an ever-evolving style of music. Each show is totally different and creatively caters to the room, the people, and the moment. Michael has performed 800+ shows all over North America and we are super lucky to have him playing here at The Deer's Head! Join us Friday March 23rd for some special tunes. Dinner is served 5-9pm, music begins at 7pm. Reservations encouraged. We know, we're sick of winter too. That's why we're taking you and your tastebuds down south tomorrow for this week's edition of Wednesday Wonders... buttermilk fried chicken and barbecue pork ribs await...Dinner is 5-9pm! See you all HERE this Saturday 3/17 for Irish whiskey flights, hearty Irish fare and debauchery (no green beer, though) for lunch and dinner. Wednesday 3/14 is Jamaican Night at The Deer's Head! Spice things up with some delectable island flavors right here in little old E-town. Dinner is served 5-9pm. We Can't Fight This Feeling Anymore… we're pumped to have Fulton's Folly performing all of our favorite guilty (and not so guilty) pleasure songs this Sunday. So if you're California Dreamin' or worried all this snow will turn into a Landslide, we recommend you stop by for some hot wings and cold beer this Sunday at 1pm. Let's give 'em Something to Talk About! They're back! Our friends Sam & Emma will be spinning some of their most-loved records for us this Saturday. A truly mixed bag of favorites & rarities. Dinner is 5-9pm. Spinning starts at 7pm. Your favorite songbirds are back! The melodious ADK trio Partridge in the Pines will be here with mellow folk and happy covers and we can't wait! Music starts at 7pm, dinner is 5-9pm. Reservations recommended! Dust off your sombreros! 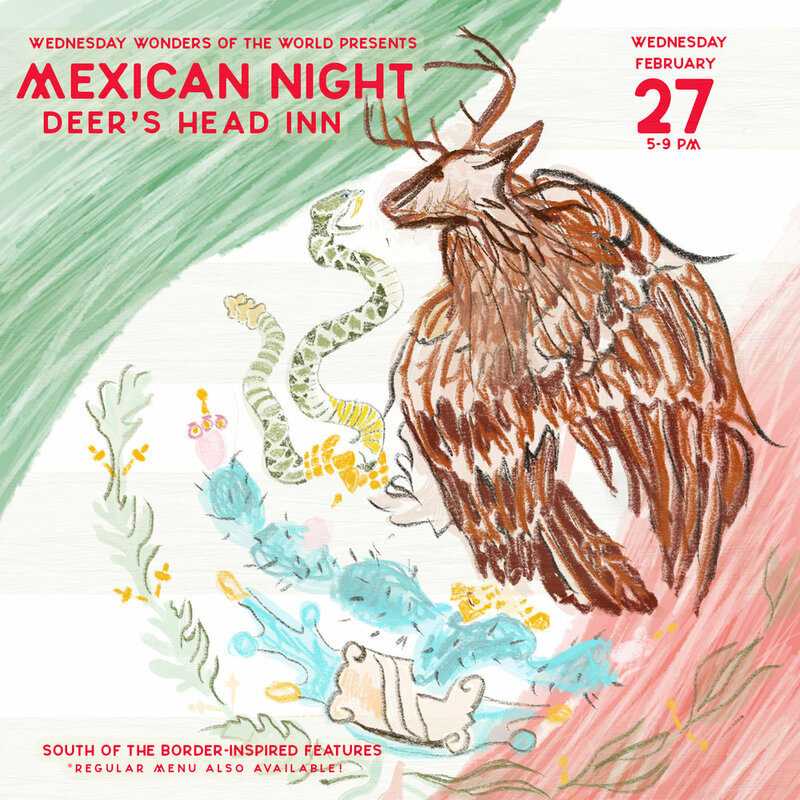 Mexican Night is back 2/28 for this week's edition of Wednesday Wonders! Spice things up with margaritas, mole, and more! Take your tastebuds to Italy for this week's edition of Wednesday Wonders! 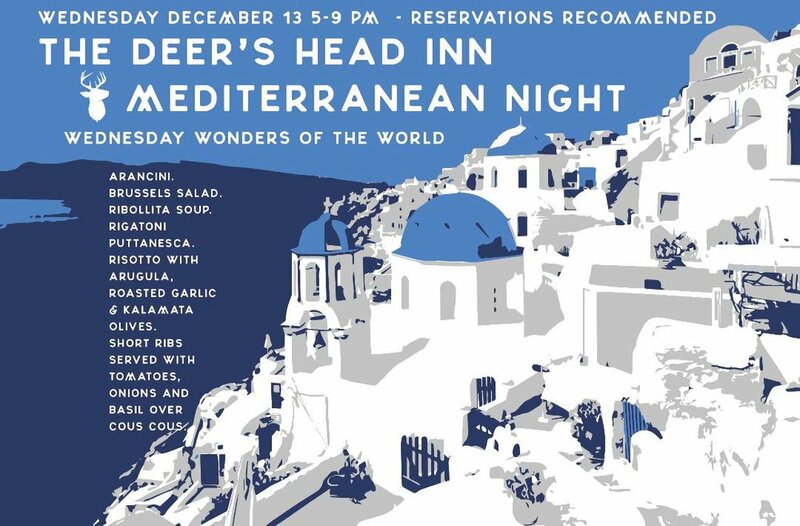 We'll be cooking up some bright tasting Mediterranean fare to help you shake off the it's-still-winter blues. Wednesday 3/7, 5-9pm. JOIN US FOR THE RETURN OF PARTRIDGE IN THE PINES, THIS FRIDAY, NOVEMBER 3! Wednesday, January 18 join us for Noche Mexicano! Albondigas, Enchiladas, Pear Cilantro Margaritas and more. Creme Fraiche. Roasted Mushrooms. Fresh Herbs. Herbed Barkeater Bouche Cheese. Dried Cranberry. Roasted Cherry Tomato. Marinated Olives. Sauteed Porcinis. Pickled Shallots. Greens. Mushroom Duxelle. Seared Onion. Fingerling Potatoes. Lemon Thyme Baby Rainbow Carrots. Red Wine Demi. Long Island Cheesecake Pumpkin. House Smoked Bacon. Pine Nuts. Brown Butter. Fried Sage. Wood Fired Turkey. Mashed Potatoes. House Bacon Wrapped Filet. Grilled Chanterelles. Roasted Fingerling Potatoes. Roasted Root Veg. Porcini Demi. Creamy Porcini Risotto. Sauteéd Chanterelles. Roasted Root Veg. Fresh Arugula.